There’s no better way to start a day than with a beer. Even better, I began a day in July with seven Crafty Ladies at a place that makes some of the tastiest beer in the state, one of the happiest places on earth. 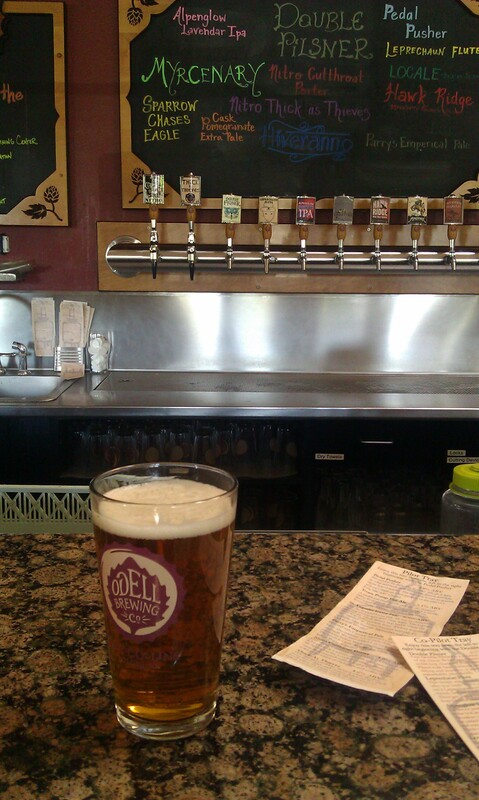 We’re talking Disneyland-two-hours-before the-gates-open happy: Odell Brewing. On this special Crafty Ladies brew day, we arrived at an empty tap room, (a truly rare site at Odell, only possible because of the early 9 am hour), where they gave us our pick of whatever morning beer suited us best. I tried several samples from the current Pilot Series: Strawberry Rhubarb Saison, Thick as Thieves Stout on nitro, Pomegranate Pale on cask, and an oak aged IPA from their Woodcut Series. Ultimately, I withdrew to the breakfast of champions, my favorite, St. Lupulin Extra Pale Ale. After this rather tough decision, we headed into the brewery to assist Linsey Cornish, Odell’s one and only female brewer, (she’s also one of just two women who work in the entire Odell brewing operations sector). 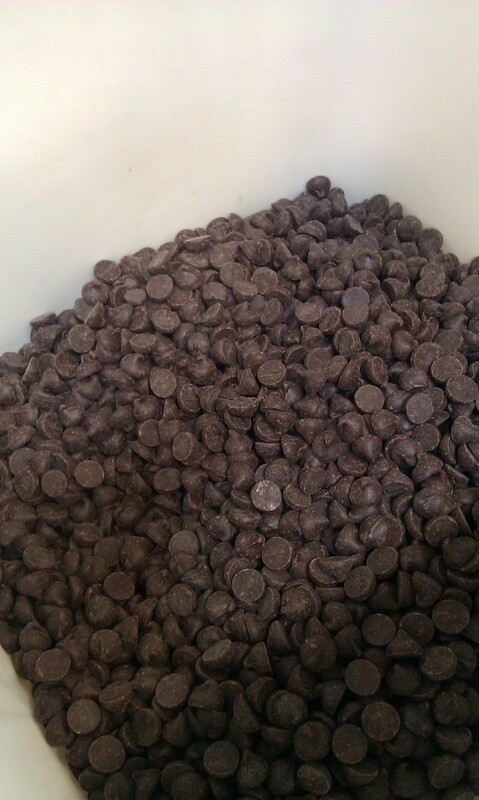 We brewed a milk chocolate stout with cocoa nibs and 70% cacao chocolate chips to be released at the upcoming LoHi Music Festival (August 4th from 10-10 at Highland Tap and Burger). This beer will also be part of the regular brews offered at Odell starting sometime this year. I quickly realized what a unique experience it was for the Crafty Ladies to brew with Linsey who has been with Odell for two and a half years. It’s hard to imagine that she’s the only female brewer in a place as big as Odell, (they’re distributing to 10 states and brewing upwards of 60,000 barrels per year), but it doesn’t seem to bother her whatsoever. “I love my position here,” Linsey observed, “and I don’t think of my self as ‘the only female brewer,’ I am just part of the team. I am proud to be involved in what this company is doing and how we are growing. It is a wonderful family to belong to. I am also extremely grateful to be a part of the brewing industry as a whole; it is a dream come true.” Linsey loves her job, which makes sense to me, who wouldn’t love being around the sweet aroma of hops and malts of such a great company all day? For all those interested in moving from brewing 5 gallons at home to a powerhouse brewery like Odell, Linsey’s career transition is simply inspirational. She began her journey into brewing five years ago as a home brewer, while simultaneously enrolling in a brewing science course through her previous employer, Colorado State University (CSU). During this course, the students brewed at Odell where Linsey met some of the brewers and employees in the brew house. 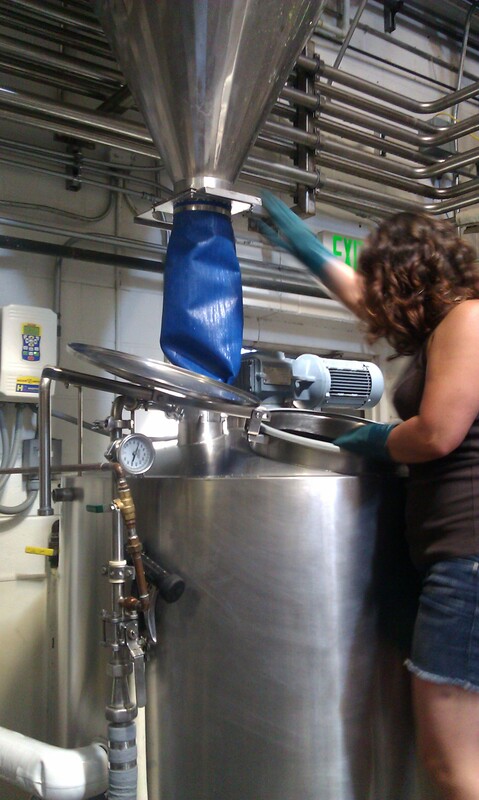 Long story short, Linsey left CSU and quickly started working on Odell’s keg and bottling line. 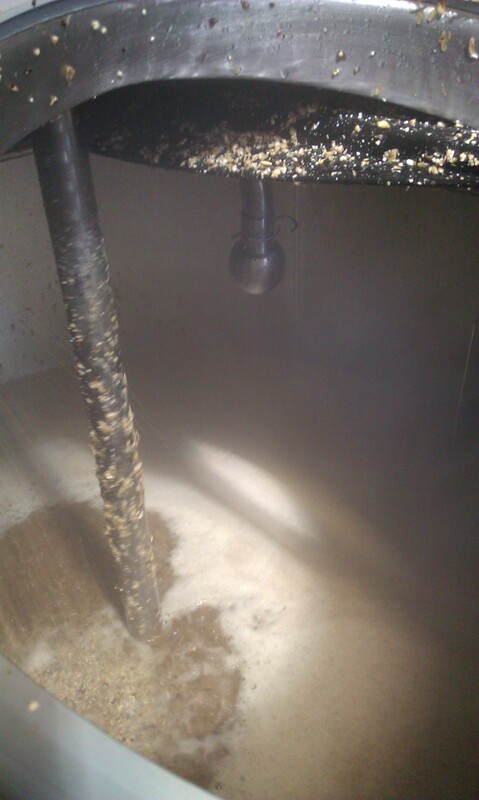 She then moved to the cellar about 18 months ago where she works directly with the brewing process. Though we certainly assisted with brewing the milk chocolate stout, it was important for us to let Linsey’s professional expertise take the reigns; knowing this beer would be in the hands of beer enthusiasts in a few short weeks. In between the brewing process and the clean up (which is no easy bit of work), we were able to continue enjoying the grand spectrum of delicious Odell beer. I moved from my pint of the St. Lupulin onto the Thick as Thieves, then to the Double Pilsner and some samplings of the Pond Hopper collaboration brew with Thornbridge Brewing in the UK. Upon completion of the brewing and tasting extravaganza, Derek Strouble, Odell’s Denver distributor, (and our guide and designated driver), returned us safely to Denver from Ft. Fun. Thank you to Katie and Nicol at Highland Tap and Burger and Derek at Odell for making this incredible day with Linsey Cornish happen. It was beyond fun. This entry was posted in Craft Beer Adventures, Women and Beer and tagged Crafty Ladies, Highland Tap and Burger, lohi music festival, milk chocolate stout, Odell Brewing, st. lupulin extra pale ale.